Dead Ringer: Now in Paperback! As of today my debut novel, Dead Ringer, is available in paperback! Dead Ringer, A Music Lover’s Mystery is available at the HarperCollins website, Amazon, Chapters, iTunes and Barnes & Noble. TODAY IS THE DAY!!! 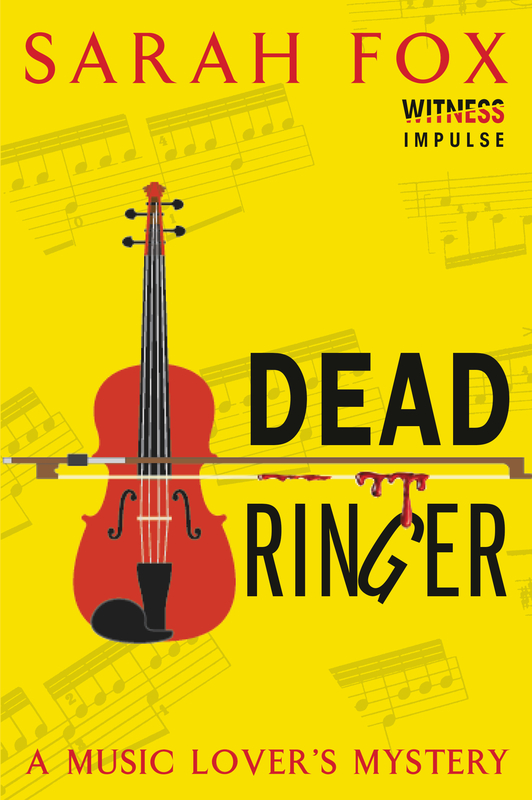 Dead Ringer, my debut cozy mystery, is now a REAL BOOK out in the world! I’m extremely excited and very grateful to everyone who has helped get Dead Ringer to this point. For fun, I thought I’d share a little bit about the main character, Midori. Midori Bishop is a 29-year-old professional violinist with a penchant for sleuthing. She teaches private music lessons and also plays second violin in the Point Grey Philharmonic. An only child, Midori grew up in the city where she still lives (Vancouver, Canada). Her father also grew up in Canada but her mother was born and raised in Japan. Midori always wants to help the people she cares about and she also has an inexhaustible sense of curiosity that drives her to search out the truth and solve mysteries. Sometimes that curiosity leads her straight to trouble, but her heart is in the right place. She spends much of her free time hanging out with her best friend, JT, and his dog, Finnegan. Blue is Midori’s favourite colour, and she also loves root beer, tea sandwiches, and high heeled boots. Although music is what pays Midori’s bills, it’s far more than just a profession for her. Whenever she needs to calm her nerves or cheer herself up, music is her refuge. The ebook version of Dead Ringer, A Music Lover’s Mystery is available as of today at the HarperCollins website, Amazon, Chapters, iTunes and Barnes & Noble. The paperback version will be released on June 30, 2015 and is currently available for pre-order.